I was disapointed that the app that generated Instagram year in review videos wasn't available this year. The new thing this year however was an app that pulled your top nine Instagrams into a collage. #2015bestnine was everywhere. These were my top nine pictures on Instagram. 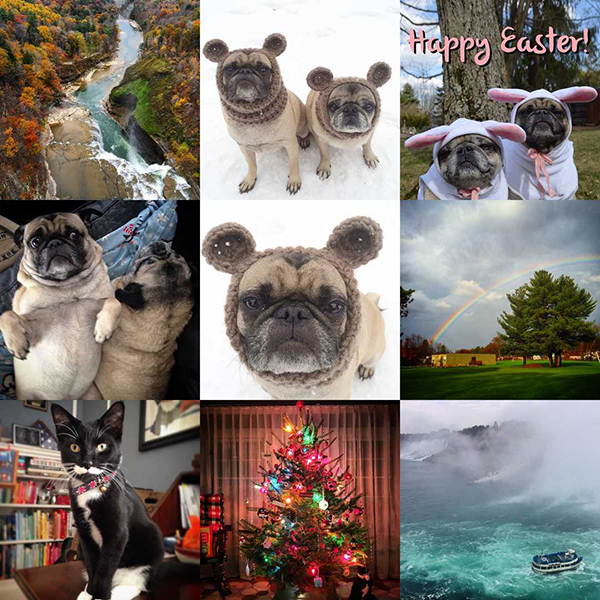 Pugs and rainbows - looks like a pretty good year. Just needs to have Stewie in there though! I made sure he was in this review video. We are heading off to the cabin for #newyearseve so off the grid til tomorrow. Buh bye 2015. Happy New Year! And Facebook still did their Year in Review.